We’re all familiar with the 50 states that make up the United States of America, and it’s hard to imagine the country being split up any other way. But throughout the country’s history there have been numerous alternative states proposed – and they could have changed the map dramatically. 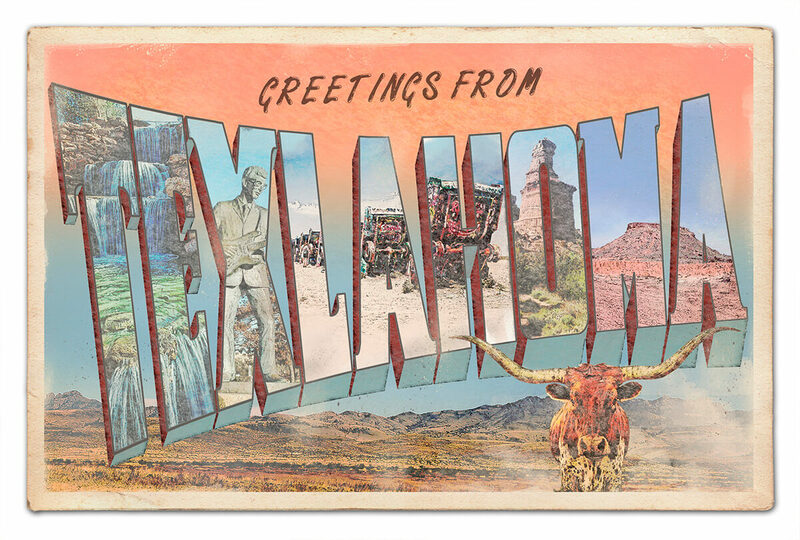 From Jefferson to Texlahoma, we’ve rounded up seven unique almost-states and given them the special postcard treatment. Anticipation and excitement surrounded every potential new state, and in 1939 the residents of what could have become Absaroka got as far as holding beauty pageants and creating license plates. But due in part to the distraction of the Second World War, they didn’t actually get as far as making a proposal to Congress. These areas of Wyoming, Montana and South Dakota ended up staying put. 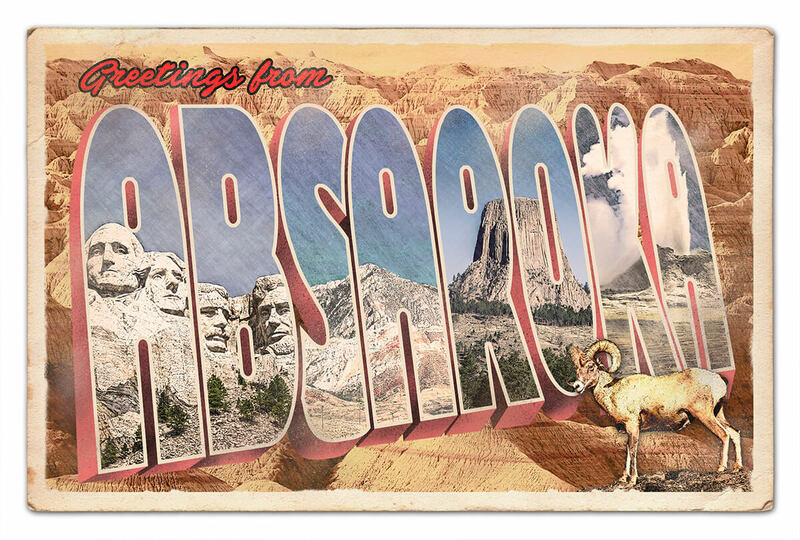 Send vacation greetings from Absaroka here. Unsurprisingly, there have been a few attempts to create a state named after Thomas Jefferson. This one encompassed counties in Oregon and California, which tried to break away in 1941. They made headlines when armed men stopped traffic on Route 99 to hand out their flyers, but the proposal lost all of its momentum a couple months later, when the attack on Pearl Harbor saw America enter the war. 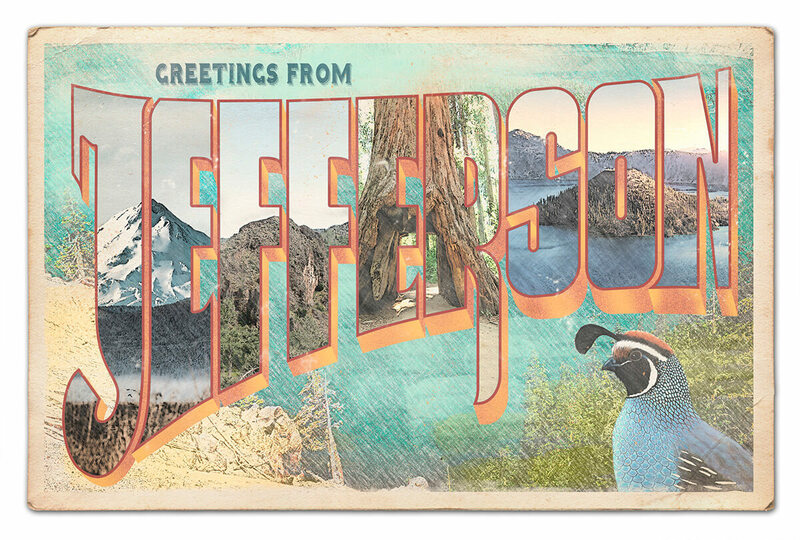 Send vacation greetings from Jefferson here. 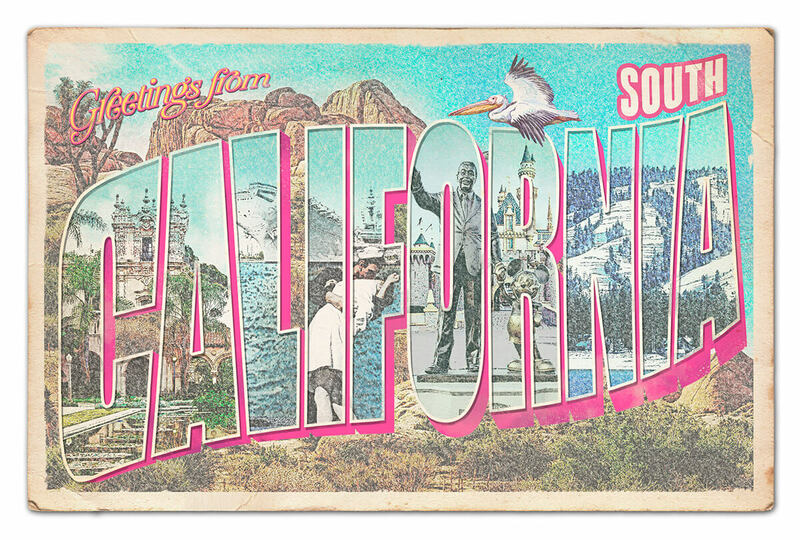 Send vacation greetings from South California here. A giant state proposed by the Church Of Latter Day Saints in 1849, Deseret would have contained parts of present day Utah, Arizona, California, Idaho, Nevada, New Mexico, Oregon and Wyoming. It would have been full of famous landmarks, from the Grand Canyon to Monument Valley, but the creation of Utah Territory in 1850 put an end to dreams of Deseret. 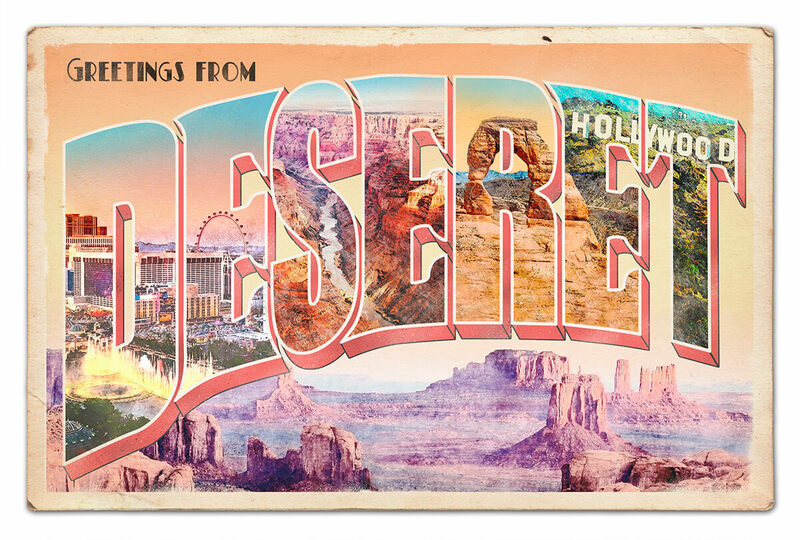 Send vacation greetings from Deseret here. In 2008, commissioners in North Lauderdale decided that enough was enough when it came to taxes. They claimed they weren’t getting fair treatment and proposed splitting the state of Florida in two. While South Florida wouldn’t have gotten Disney World, it would have kept Miami and the Keys – so there would still have been lots of fun to be had if the split had gone ahead. 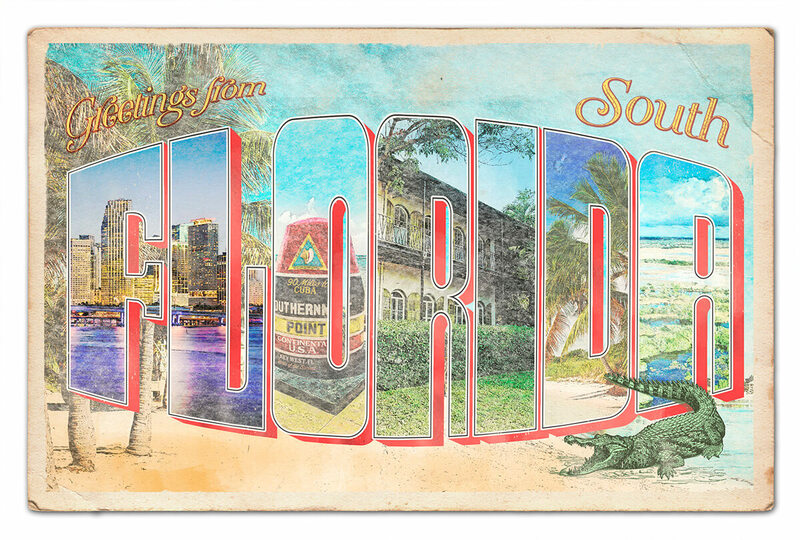 Send vacation greetings from South Florida here. A state made up of counties from Texas and Oklahoma couldn’t have a more obvious or perfect name than Texlahoma. And landmarks like the Buddy Holly statue, Cadillac Ranch and Wichita Falls make it all the more disappointing that this state never happened. It was planned in the early 1900s by people who felt that the roads were being neglected by their respective state governments. While they were keen to create a new state and run things themselves, the enthusiasm was short-lived. Send vacation greetings from Texlahoma here. The period following the Revolutionary War was marked by a few shady land deals made as the America we know today took shape. One of those almost led to the founding of a state called Franklin in what is now eastern Tennessee, home to the Great Smoky Mountains and Dolly Parton’s theme park. But when it was put to a vote, Franklin lost out. And really, it’s hard to imagine Dollywood ever being anywhere other than Tennessee. 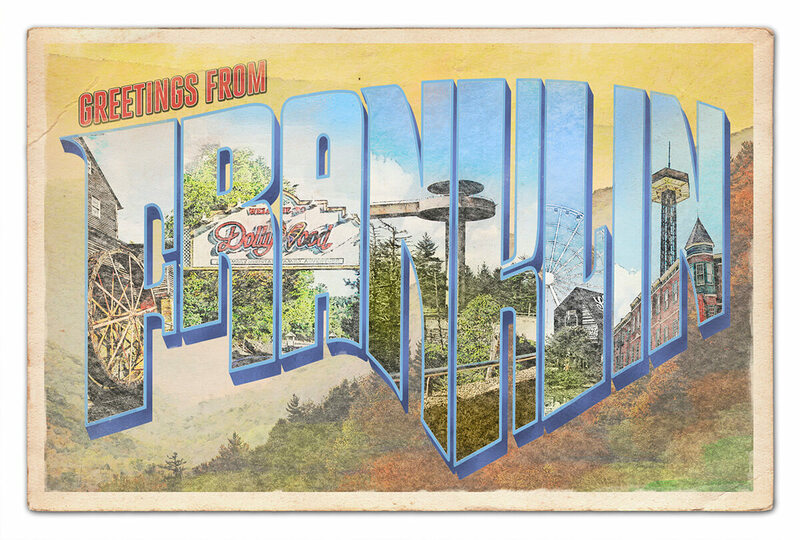 Send vacation greetings from Franklin here. 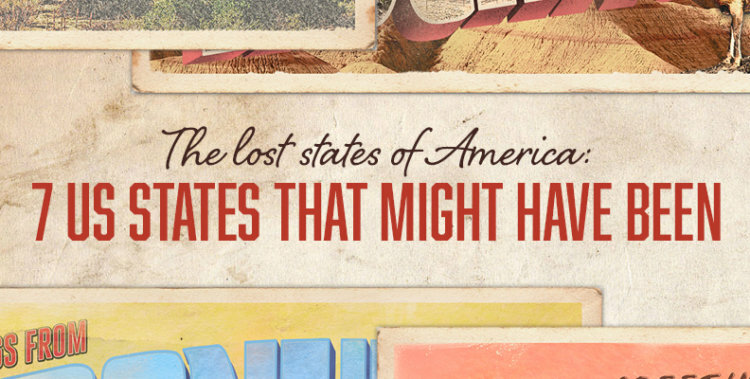 These lost states might not have made it onto the map of the USA, but we hope that seeing their postcards has inspired you to imagine what they could have brought to the nation!